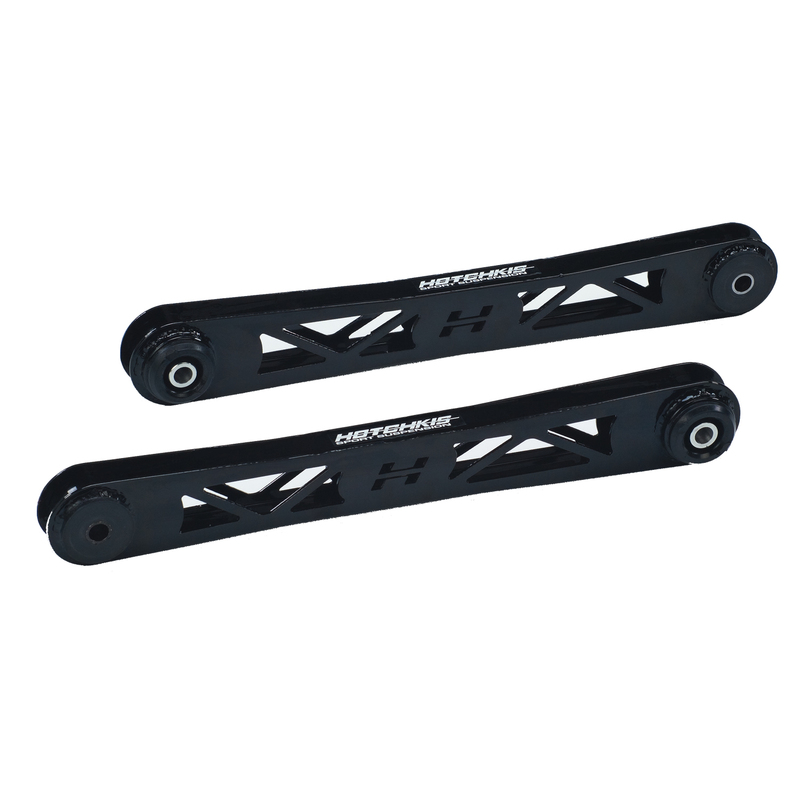 Hotchkis Sport Suspension Lower Trailing Arms for the 05-12 Mustang are designed stronger than the factory units improving traction and reducing wheel hop. These hi tech trailing arms feature TIG welded I-Beam construction for maximum strength to weight ratio. The greasable swivel max polyurethane bushings increase suspension articulation while maintaining a quiet comfortable design. The part is finished in gloss black powder coat for durability and is a direct bolt in installation that can be done in minutes. Hotchkis trailing arms are a must have finishing touch for any high performance 2005-2012 Mustang.